Browse through our range of bins and ash trays. 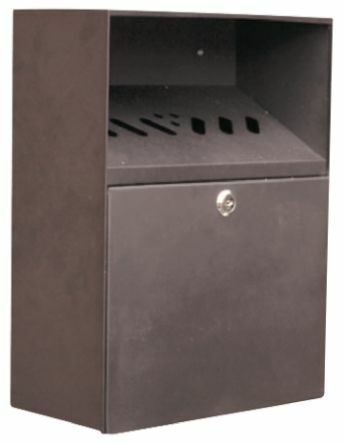 We have a variety of different waste removal bins in a host of shapes and sizes to suit your needs. Simple, space saving solution for controlling smokers' waste. Easy to empty design requires no tools and minimal bendingWeather resistant powder coated fire-safe aluminiumRecessed extinguishing screen prevents ashes from falling to the groundWeighted base for more stability and security.